Since the beginning of the year, 14 pedestrians have been struck and killed by vehicles in Montreal. That's three more than this time last year, and it's higher than any year-to-date statistic of pedestrian fatalities in the city in recorded history. Since the beginning of the year, 14 pedestrians have been struck and killed by vehicles in Montreal. That's three more pedestrian fatalities than this time last year, and it's higher than any year-to-date statistic of pedestrian fatalities in the city in recorded history. In the last four days alone, five pedestrians have been hit by vehicles. The latest, an 87-year-old woman, died after she was struck by a car Monday evening in the borough of Saint-Laurent. That fatality came just one day after a 55-year-old man died. He was struck Sunday evening at the corner of René-Lévesque Boulevard and Jeanne-Mance Street. The number of pedestrians hit has been trending upward steadily over the past three years. By Sept. 11, 2015, seven people had died. In 2016, that figure was eight. Montreal police spokesperson Insp. André Durocher speculates that the rise is due to cellphone use. He says the distraction screens have created for drivers and pedestrians alike could well account for the collisions. However, Durocher did not say whether any of the recent collisions are known to have been related to cellphone use. 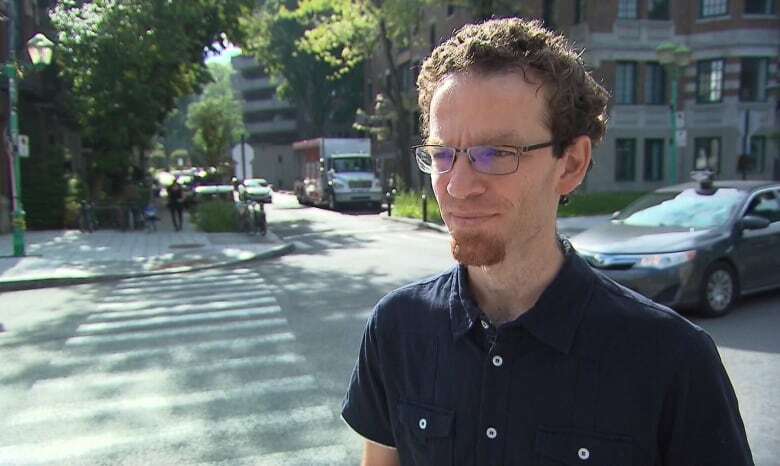 Griffin Payne lives in Montreal's NDG neighbourhood and says he's narrowly avoided being hit by a car around a dozen times in the last few years. In his experience, drivers aren't respecting the traffic lights. "The amount of construction, the level of frustration and agitation on the part of drivers... leads people to make riskier choices," he said. 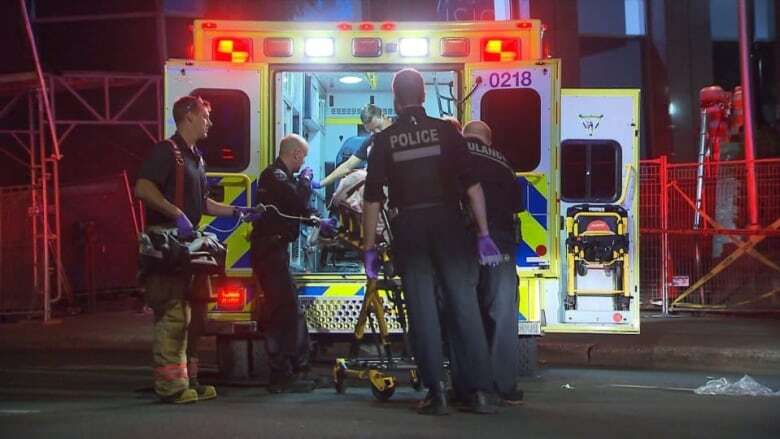 A CBC analysis of cases of pedestrians struck this year in Montreal shows at least five of the 14 fatal cases involved heavy trucks as they were making turns, and many occurred on major arteries east and north of the downtown core. It also found a majority of the pedestrians who died were more than 55 years old, echoing a trend seen in previous years. CAA-Québec compiled statistics from 2011 to 2015, and found seniors made up 55.6 per cent of all pedestrian deaths in the province. People aged 65 or older are "the hardest hit group, contrary to what you might think would be texting-distracted teenagers," said CAA on its website. Another police spokesperson, Cmdr. Sylvain Dubois, who specializes in road safety, said in past years, the responsibility for the collisions was generally shared between drivers and pedestrians. So far this year, he said, it appears motorists are more often to blame. Nicolas Saunier is an engineer researching mobility at the Université de Montréal's École Polytechnique. 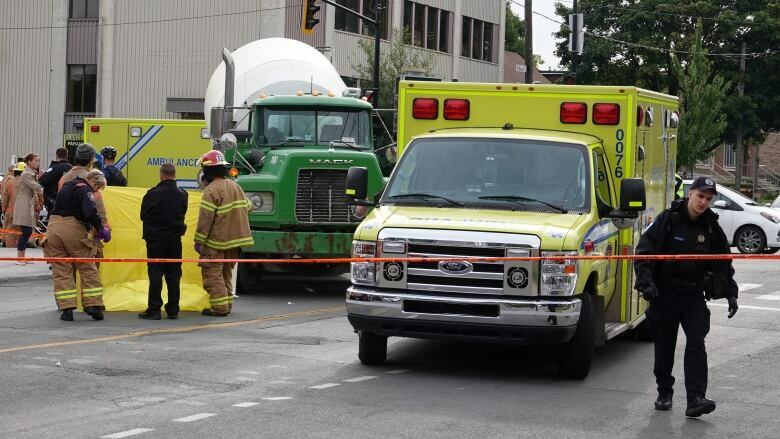 Saunier said the higher number of collisions and deaths could be attributed to an increase in road users — vehicles, as well as people walking and biking. He says there's always more the city can do, but first and foremost, there needs to be a change in drivers' attitudes toward pedestrians. "Compared to the rest of the country, we know we don't have the same level of respect from motorists," he told Radio-Canada. The city's Vision Zero policy, adopted two years ago, has a goal of reducing the number of deadly road accidents. It includes measures to decrease the speed of vehicles travelling through the city and to limit where and when heavy trucks are allowed to travel. Saulnier said more could be done, such as making streets narrower and creating more streets that prioritize pedestrians. "We can't just encourage good behaviour without discouraging the purchase of cars," Saunier said, noting that bigger vehicles like SUVs are increasing in popularity. He suggested raising taxes on gas and on the vehicles themselves. He said the increase in construction sites in the city also "creates problems, with detours which aren't always adequate." Residents in several of the city boroughs where deadly accidents occurred have complained of heavy trucks taking detours onto streets where there are fewer traffic lights due to construction work. The Montreal police service's annual fall campaign to raise awareness about road safety started today. As well, the City of Montreal is holding a public consultation on road safety Sept. 24. It plans to ask residents how they think pedestrians and cyclists could be better protected. Mayor Valérie Plante has said she hopes creative solutions will come of the consultation.